Edison knew that the greatest ideas are worthless unless correctly executed. 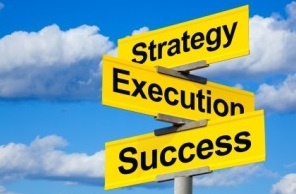 Strategy is only 10%; 90% of success is execution. 1. A bad idea correctly executed is more successful than the good idea forgotten. the extra-ordinary product reliant on resources. 3. Thoughtful service is never recommended without correct execution. you literally execute your ideas, products and services. Great Idea + Resourceful Marketing + Correct Execution + Planned Service = Reward. Click here for the best way to generate and follow through Great Ideas.